Jason Momoa, who rocketed to superstardom in Justice League and Aquaman, Sean Astin (The Lord of the Rings, “Stranger Things 2”), Chris Kattan (“Saturday Night Live,” A Night at the Roxbury) and Ernie Hudson (Ghostbusters, “Desperate Housewives”) are among the top celebrities scheduled to attend the seventh annual Wizard World St.Louis, April 5-7, at America’s Center. Some of the world’s most talented creators populate Artist Alley at Wizard World. Top writers and artists scheduled to attend are Arvell Jones (Marvel, D.C.), Stuart Sayger (“ROM,” “Micronauts”), Kurt Lehner (“Gargoyles,” “Marvel Action Hour”), Jeremy Clark (“Grimm Fairy Tales,” “Day of the Dead”), Phil Ortiz (“The Simpsons”), Tom Cook (“He-Man and the Masters of the Universe,” “Superfriends”), Rick Burchett (“Batman Adventures,” “Superman Adventures”), Ryan Kincaid (“Antoinette,” Upper Deck), Shawn Coss (“Cyanide & Happiness”), Ty Templeton (“Batman and Robin Adventures,” “Batman: The Gotham Adventures”) and more. Wizard World St.Louis will also feature non-stop live entertainment hosted by Kato Kaelin, gaming, exclusive Q&A sessions with top celebrities, movie screenings hosted by stars and directors and more. Details to follow soon, along with programming and entertainment stage schedules.t. 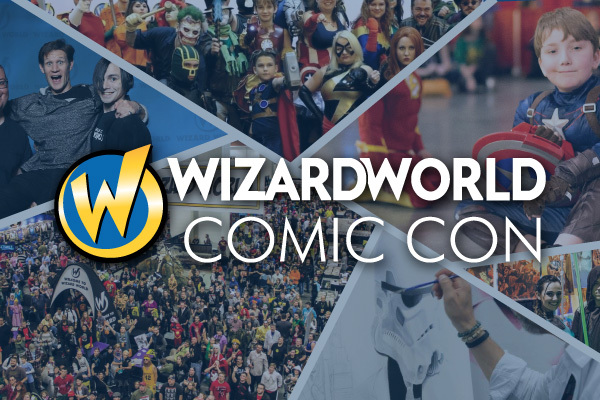 Wizard World events bring together thousands of fans of all ages to celebrate the best in pop culture: movies, television, gaming, live entertainment, comics, sci-fi, graphic novels, toys, original art, collectibles, contests and more. The fourth event scheduled on the 2019 Wizard World calendar, St. Louis show hours are Friday, April 5, 4-9 p.m.; Saturday, April 6, 10 a.m.-7 p.m.; Sunday, April 7, 10 a.m.-4 p.m. Kids 10 and under are admitted free with paid adult. Wizard World St. Louis is also the place for cosplay, with fans young and old showing off their best costumes throughout the event. Fans dressed as every imaginable character – and some never before dreamed – will roam the convention floor and participate in the famed Wizard World Costume Contest on Saturday evening. For more on the 2019 Wizard World St. Louis, visit http://wizd.me/StLouisPR. Wizard Entertainment, Inc. (www.wizardworld.com) produces comic, gaming and pop culture conventions across North America that celebrate the best in pop culture: movies, television, gaming, live entertainment, tech, comics, sci-fi, graphic novels, toys, original art, collectibles, contests and more. A first-class lineup of topical programming and entertainment takes place at each event, with celebrity Q&A’s, comics-themed sessions, costume contests, movie screenings, evening parties and more. Wizard Entertainment has also teamed with Sony Pictures Entertainment to find the next generation of movies as well as to engage in a number of strategic initiatives. Additional initiatives may include an augmented touring schedule of Wizard World shows, fixed-site installations, curated e-commerce, and the production and distribution of content both in the U.S. and internationally. Fans can interact with Wizard Entertainment at www.wizardworld.com and on Facebook, Twitter, Pinterest, Instagram and other social media services. The 2019 Wizard World convention schedule is available at: http://www.wizardworld.com/comiccon. Joker Origin Movie in the Works?! 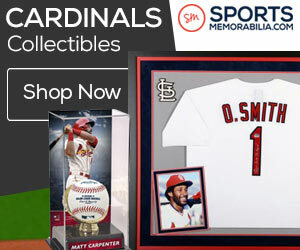 Who should the Cardinals closer be in 2018?